POM PROM. 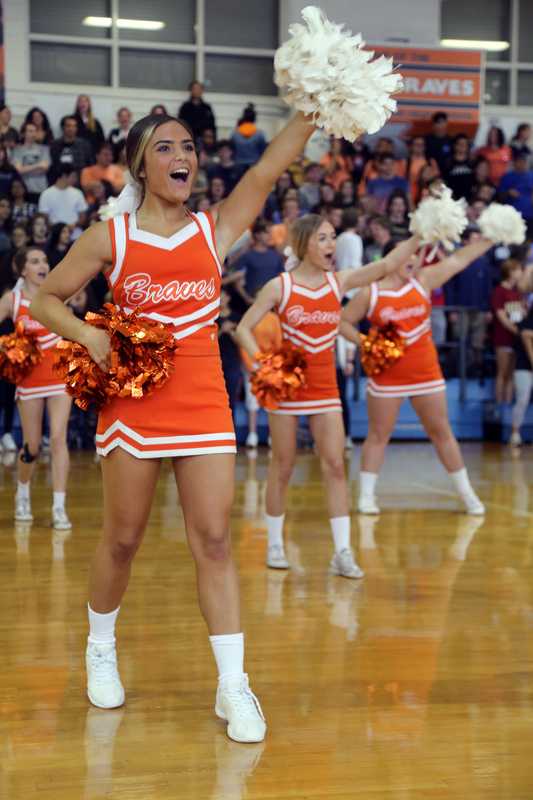 The cheerleaders preformed at the pep rally, as both sides screamed orange and white. photo/Kaitlyn Connolly. 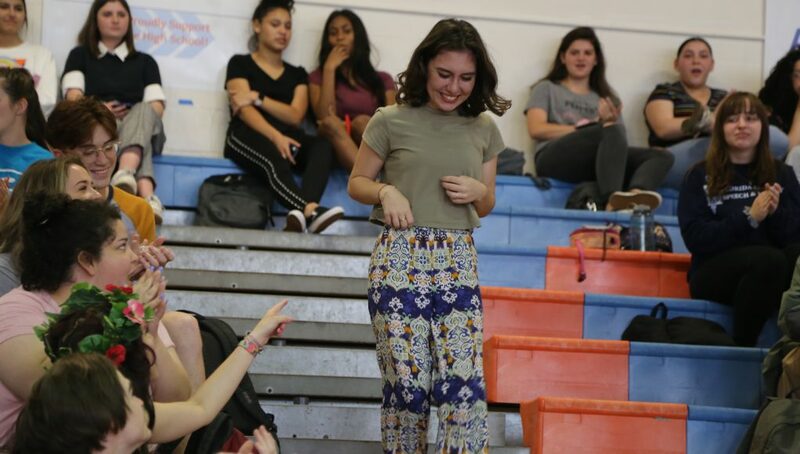 On March 29, Seniors and Juniors that purchased a ticket for prom gathered in the gym. 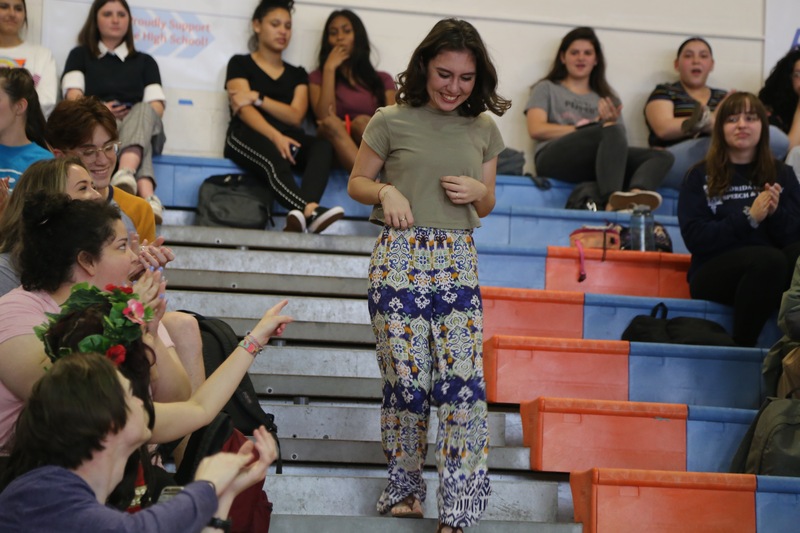 The pep rally featured performances by the dance and cheerleading teams, alongside as a variety of competitions.